The 40th annual Cochrane Summer Economic Institute wrapped up with project presentations by the seven consulting teams assigned to program partners ChildSavers, Ginger Juice, Impact Makers, Indivior, Richmond Kickers, Royall & Company and World Pediatric Project. 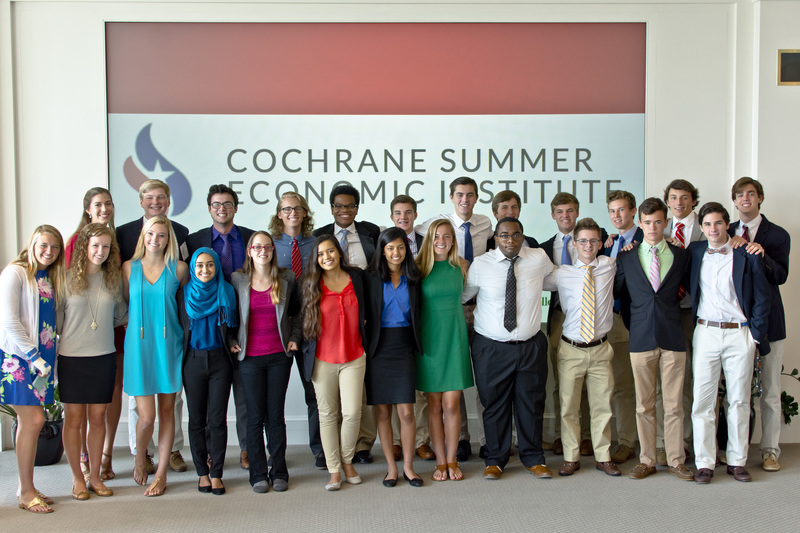 The Cochrane Summer Economic Institute (CSEI) is a community outreach program administered by Collegiate School and funded by the Powell Economic Education Foundation. CSEI challenges rising high school seniors to apply learnings in economics and entrepreneurship while serving as consultants on an immersive group project team with a business or nonprofit partner. CSEI is a unique program in the Richmond community providing the rare opportunity for high school students to learn from seasoned business professionals and engage in a real-world business consulting project for an organization. Application deadline is Monday, Jan. 22. at 10 p.m.
Online application and essay are required. Online teacher/administrator recommendation is required. Interviews may be scheduled for mid-February. Decisions will be made by mid-March. Student and Parent Orientation will be held in mid-May. Orientation and CSEI attendance is mandatory for all participants. Speakers Series, Workshops and Immersive Group Projects are held July 5-Aug. Program hours are 8:30 a.m.-2:30 p.m. Final Public Presentation by Immersive Group Project Teams is Wednesday, Aug. 1. Students receive a $500 stipend at the end of the program.